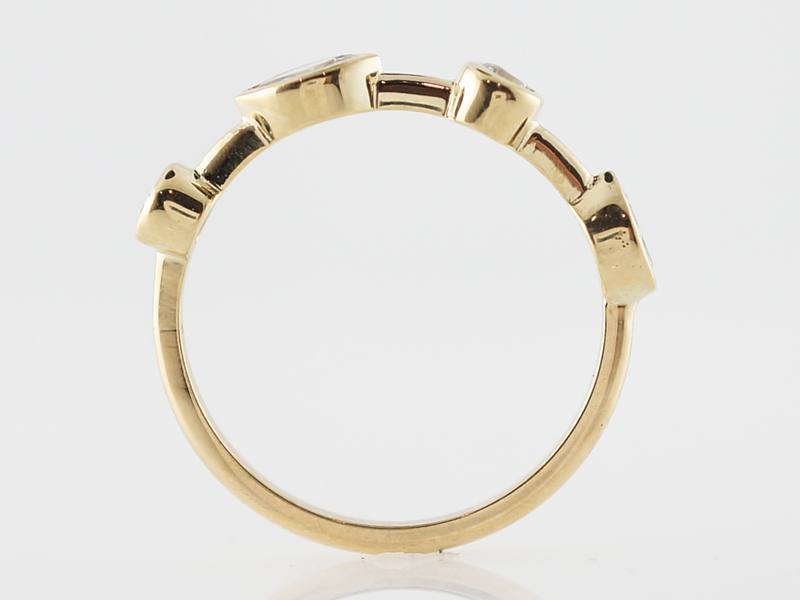 This right hand ring uses some simple design principles to create a dynamic look while maintaining the appeal of minimalism. 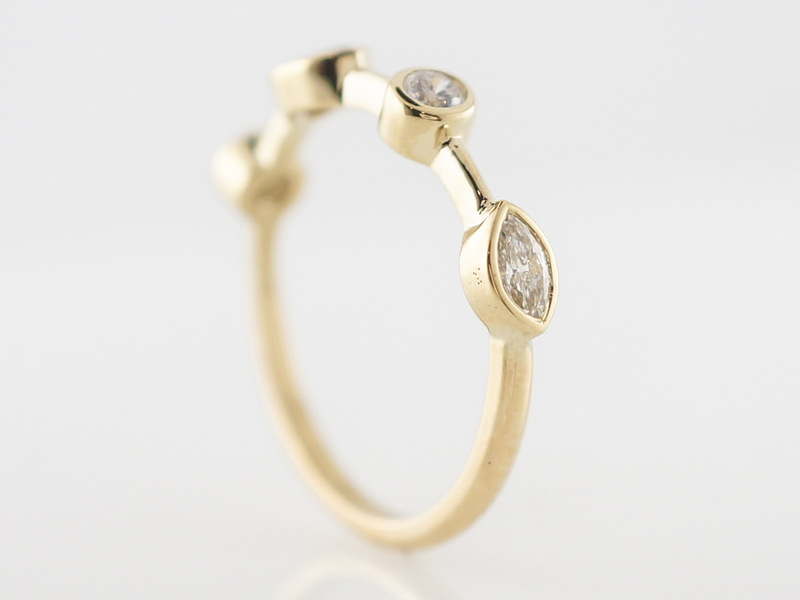 This modern piece is composed of 18k yellow gold and features an alternating pattern of round brilliant and marquise cut diamonds. 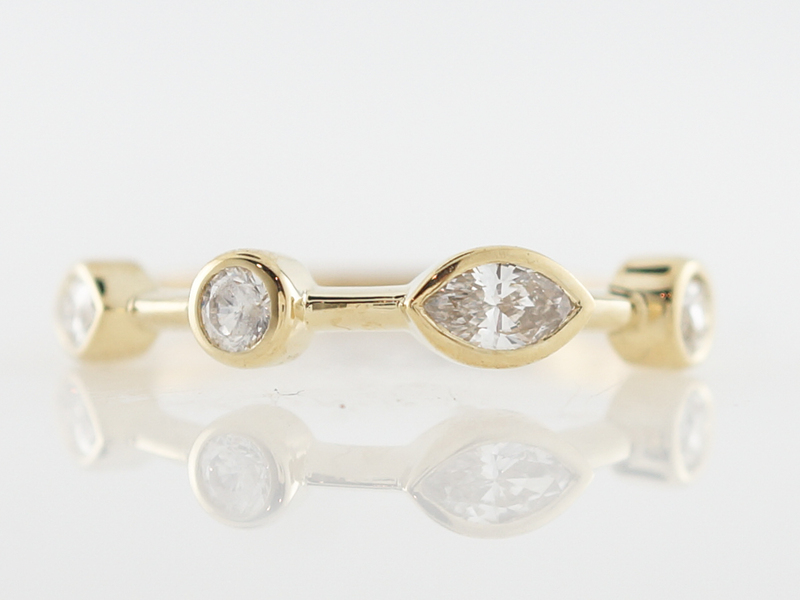 The stones are bezel set adding to the contemporary look and the total diamond weight is .46 carats. 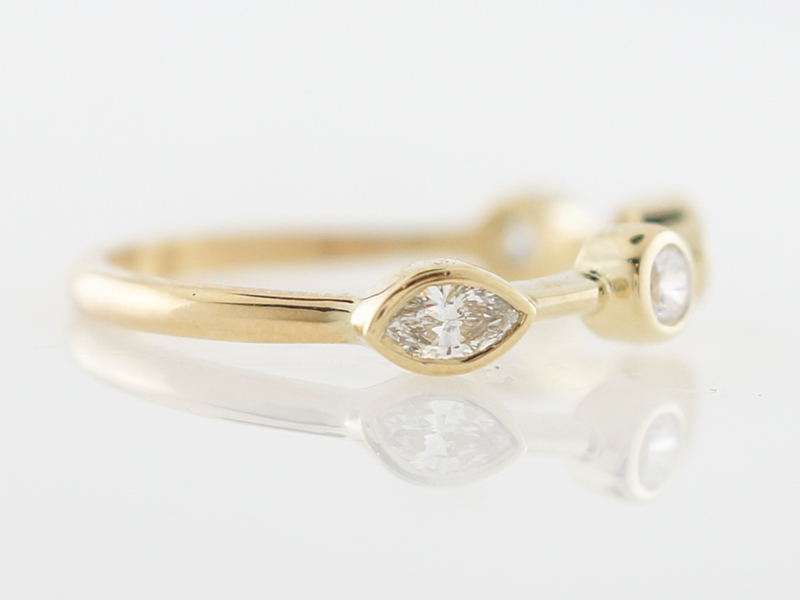 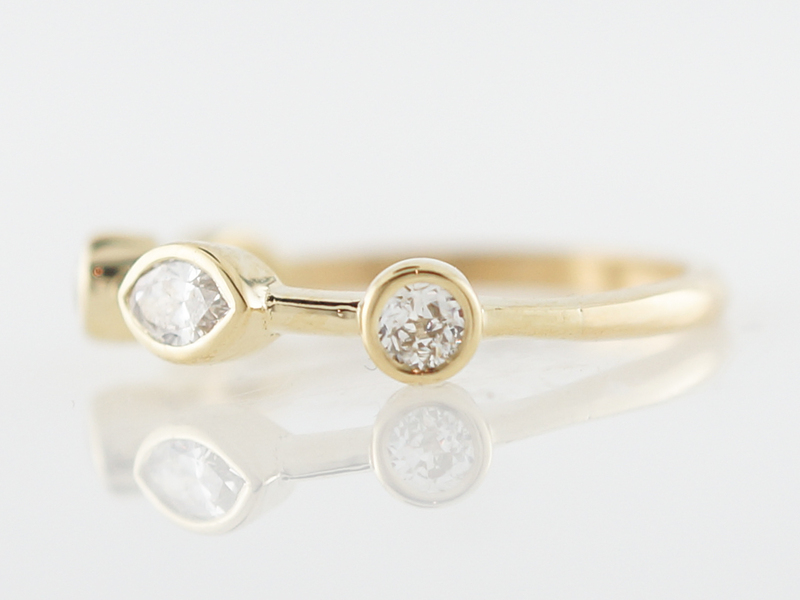 This ring would also look great in a stack of diamond bands!le.